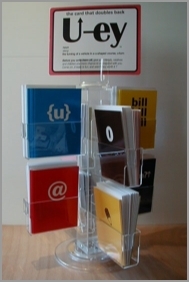 So you want to order some U-ey cards ? Email, fax or mail it back to us. Pay with credit card, PayPal or check. We ship USPS, of course. for catalogs and wholesale pricing. 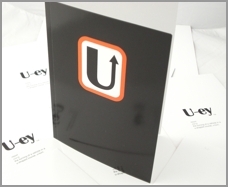 Based on your event, we are also able to create CUSTOM designed U-ey cards....clever writing, cool design and our patent-pending concept could take your business or event over the top!